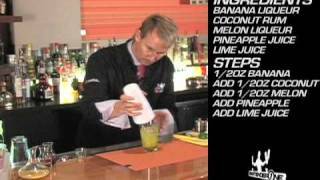 Put the malibu, melon liqueur and creme de banane in a shaker and shake for a minute. pour over crushed ice, top up with orange juice and a squeeze of lime. sit back and enjoy! 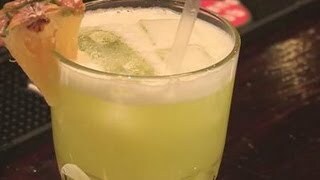 How to make a Rum based cocktail with MIDORI liqueur. 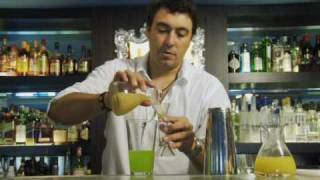 "MIDORI June Bug"